If you’re currently sustaining a sports injury, whether it is a torn ligament, hamstring strain, knee injury or tennis elbow, a burning question in your mind isn’t how to recover, but rather, how fast you can recover. In the medical profession, hopes of a quick recovery are often frowned down upon, owing to the fact that these, being too idealistic, usually end in disappointment. To be fair, it really comes down to your definition of “quick”. Understandably, you’re eager to return to your daily activities and get back onto the field. As a leading sports therapy clinic in Richmond Hill, our trained and licensed physiotherapists can help restore your range of motion safety – with noticeable results in as little as 4 weeks – though depending on your body’s recovery mechanism, you might respond differently. The goal isn’t to push your body beyond its limits just to acquire a speedy recovery, but rather, to cultivate a sustainable and healthy recovery trajectory (over a reasonable amount of time) – one that has no adverse effects and doesn’t result in a relapse of your chronic pain. Following standardized physiotherapy practices (such as referring to a YouTube video) are unlikely to yield results. You require a personalized plan that addresses your specific injuries and one that monitors progress over time. This is the only way to enjoy the results you desire. Rehabilitating your sports injury can be successfully achieved through physiotherapy. Early injury recognition and treatment is paramount to an effective recovery. This is a multidisciplinary approach to healing as it focuses on preventing, evaluating and treating physical pain. Good physiotherapy practices include personalized and definitive treatment measures. That is the first stage in the program. Following visits with your doctor will be to track your progress and evaluate the need to switch treatment measures or goals so as to adapt better with the healing of your injury. In the initial stages, ice greatly helps relieve inflammation and redness, and even alleviates some of the pain. Joint and muscle stiffness is a preamble to loss of range of motion in the affected limb. A good way to reduce the acute pain and its future implications is to use a hot pack on the area as soon as symptoms begin to manifest. Your physiotherapist may choose to expedite the healing process by exposing swollen tissue to ultrasound frequencies. These vibrations penetrate the muscles and afford immediate relief. To loosen and relax sore muscles, monitored stretches will be required. Your sessions may also consist of deep tissue massages to bring down the swelling. With an acute sports injury comes a temporary loss of range of motion in the affected region. Exercises targeted toward restoring the joints to their full mobility will also be on the agenda. Since the affected limb will be temporarily unused, it may lose its original strength and flexibility. Therapeutic exercises are a wonderful way to ease the muscle into activity and maintain its inherent strength. 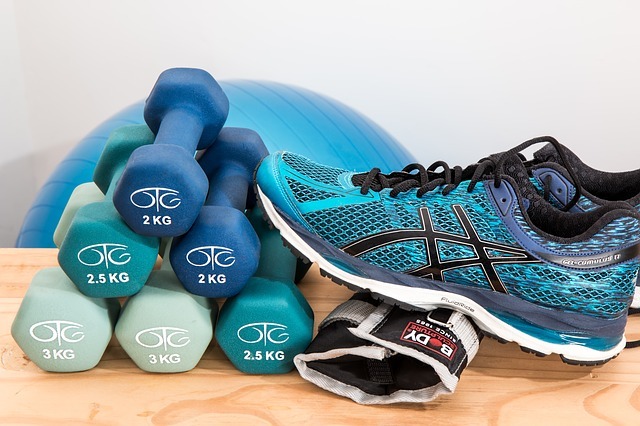 Whether you’re a triathlete, a professional player or a casual sports enthusiast experiencing chronic pain as a result of an injury, physiotherapy helps deal with current and potential problems. Regular physiotherapy sessions monitor your health and offer an in-depth knowledge of the inner workings of every muscle. These insights help your physiotherapists identify potential weak spots and project what sort of ailments might occur as a result. Certain modalities will be utilized during sessions such as nerve, joint and tissue mobilization and specific screenings to treat acute pain. Your overall muscular and ligament health will be under scrutiny. Physiotherapists will be able to grade your strength and, as such, advice the right stretches and exercises that you can incorporate into your warm-ups. All these measures go a long way to offset possible injuries in the future. Don’t Let Your Sports Injury Take Over. Get a Clean Bill of Health and Get Back On the Field! 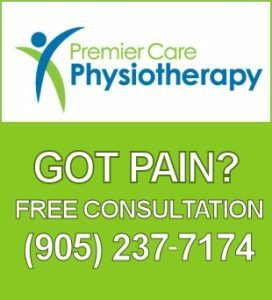 Premier Care Physiotherapy helps fully rehabilitate your sports injury and the chronic pain that you’re putting up with. As you progress from one session to the next, our licensed doctors will track progress and reassess treatment goals so as to give you the best therapeutic outcome. We can help you get rid of the stiffness and discomfort and prevent future injuries. Contact us for more information.